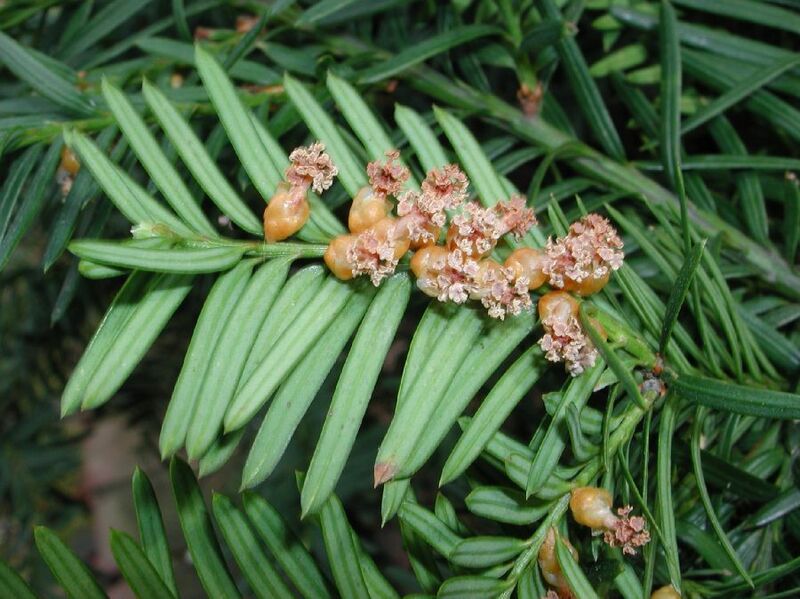 Taxus canadensis.male cones.Copyright ©2005 by Robbin Moran.www.gymnosperms.org. (Accessed 8/2014). Taxus canadensis is a shrub to 2 m tall, Gymnosperm, evergreen, stems straggling, ascending. Leaves spiraled but appearing flatly 2-ranked along twig flat, needle-like to 2 cm long, 0.2 cm wide, abruptly pointed tip sharp, midrib slightly elevated; scales of winter buds keeled (Rehder 1986). Flowers: None. Male and female cones on different plants (dioecious). Fruit: No true fruit, seed covered by fruit-like, bright red, translucent, fleshy aril. 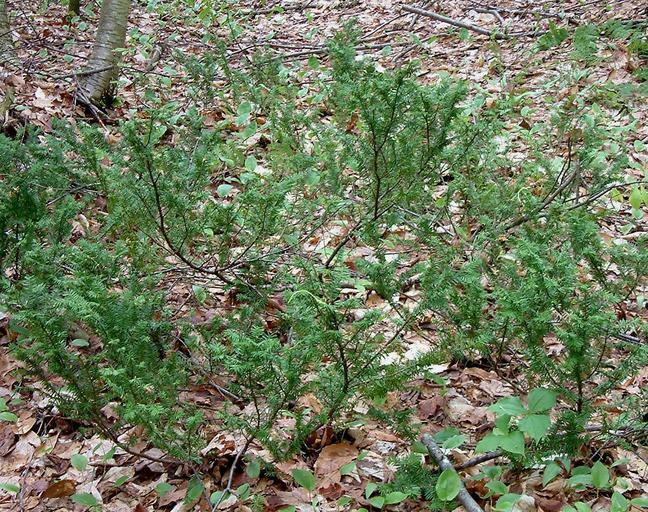 Taxus canadensis shrub.Creative Commons Attribution-ShareAlike 3.0 License (Accessed 3/2017). Origin: Native. Long Island about the southern limit on the east coast. Not listed as extant in the NYC region (Clemants 1999). Usually found in bogs and coniferous woods. Rocky or sandy upland forest understories. Soil pH 5-7.5. Tolerant of shade, salt. Intolerant of flooding, drought, soil compaction (Hightshoe 1988).